I was born and raised in Benin, West Africa in a very special family. I didn’t realize it but my parents were nonconformists. We were 10 siblings but my father made sure that each one of us attended school, even though there was just one paycheck in the household. Going against the pressure of the larger community, he insisted that his three girls should be educated. I started to earn money as a singer at an early age and didn’t understand why I should still go to school. I wanted to drop out but my father made it non-negotiable. He explained to me: “If you want to live in this house and sing, you have to be highly educated. This will allow you to understand the broader world and accomplish your dream of being a singer traveling around the planet”. I remember being mad but now I am so grateful he had this vision. The education I got was quite of a high standard at the time because teachers were themselves highly educated; we use to call Benin the “Latin Quarter” of Africa. Things have unfortunately changed since then. My education has empowered me so much: it gave me the confidence not only to sing but also to speak on CNN or BBC and to meet world leaders to lobby on the behalf of the women of Africa. When I started my role as a UNICEF Goodwill Ambassador in 2002, I first worked on the “Go Girl” campaign, which was promoting access to primary education for girls. A big push was made and a lot has been accomplished. But during a UNICEF visit to Tanzania, a mother explained to me that primary education was not enough. Why should the girls stop there? Attending secondary school makes a big difference because it prevents girls from early marriage at a crucial age and also can give them skills that will transform society. For instance, many health recommendations are not always understood by mothers due to their lack of education. More educated mothers would change all this, and it would impact not only mothers but also their families. My passion for girls’ education prompted me to create the Batonga Foundation and to lobby for equal access for secondary education for girls. After years of advocacy, I feel a global trend is emerging that supports this idea. It makes me very happy. My dream would be to see every girl from Africa have the same chance I had and be able to accomplish her ambitious goals. But our work can’t stop there. There is a very serious obstacle on the way to this dream. It is not enough to create schools and enlist students; girls (and boys also!) deserve access to quality education. We don’t have enough skilled teachers. The curriculum often needs to be updated so we can prepare a new generation of young girls to embrace the immense opportunities facing 21st century Africa! I hope you will join me in learning more about and advocating for girls’ access to quality secondary education. 2015 has the potential to be a transformative year, and I really hope African Union Commission Chairperson Nkosazana Dlamini Zuma and German Chancellor Angela Merkel will work together to ensure more funding and emphasis is placed on girls’ education. If girls are given the chance to learn, they can transform the future of Africa. 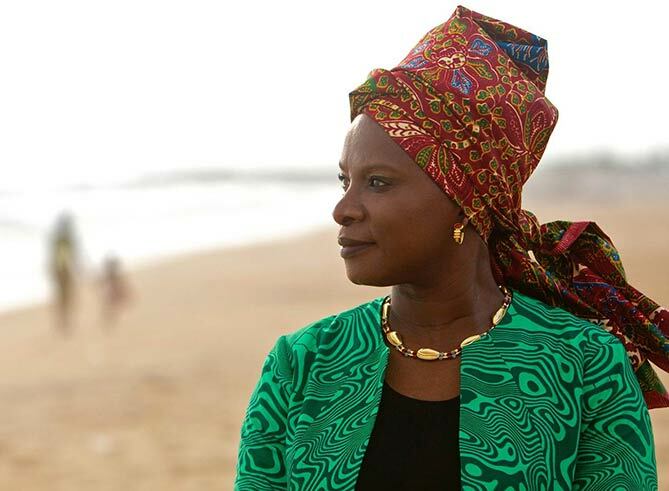 Learn more about the organizations and efforts that Angélique Kidjo supports on our Girls and Women page.